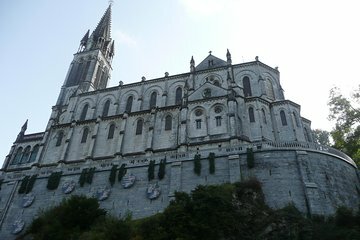 Discover the sanctuaries of Lourdes at your own pace on a private 8-hour tour from Toulouse. Comfortable round-trip transportation to the Catholic pilgrimage site spares you the headache of car rental and confusion of public buses. Join your guide at the numerous locations where Bernadette Soubirous is said to have had visions of the Virgin Mary. Offered in four different languages, you’re guaranteed to have an in depth and personalized tour experience.